I hear this one and immediately think of The Sound of Music. But lately, it’s on the list of daring possibilities for baby namers. 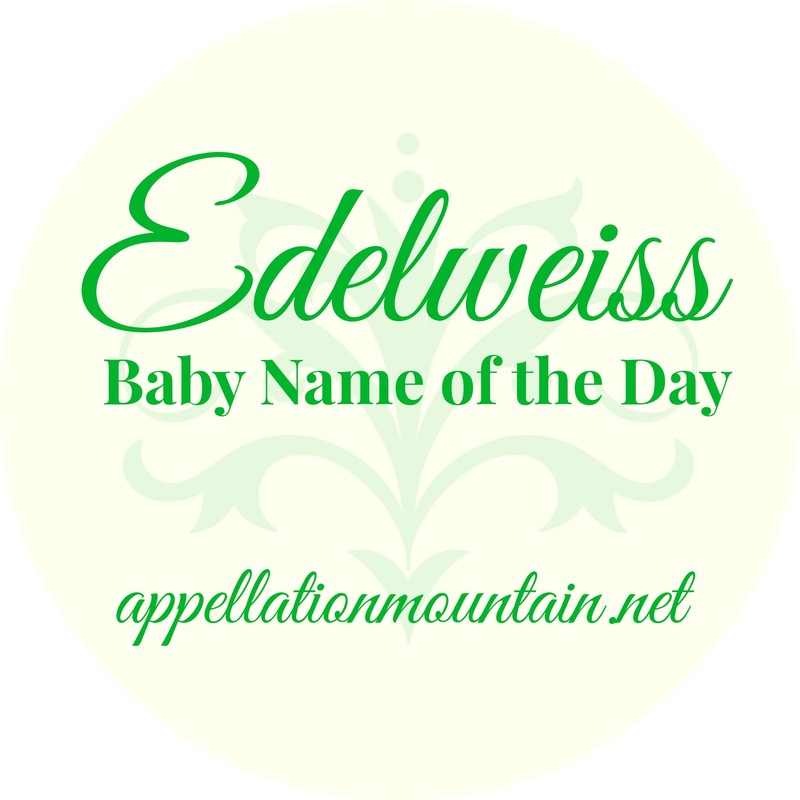 Thanks to Simone for suggesting our Baby Name of the Day: Edelweiss. Long before Rodgers and Hammerstein brought the von Trapp family to the stage, edelweiss was a flower, cousin to the sunflower, known for growing in rocky, inhospitable climes. 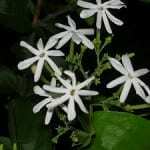 Small and white – just like the song lyrics – leontopodium alpinum thrives in the rocky Alps. Flower names have a long history of promotion to given name status, from standbys like Lily and Rose, to more obscure possibilities we’re embracing today. But Edelweiss gets another boost from her origins. 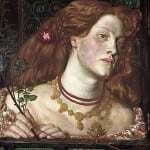 Edel is from noble – connecting her to Adelaide and all of the Adel- names. Weiss is white. It’s more of a stretch as a given name, but certainly in our colorful age of Scarlett and Violet, it would be hard to argue that it’s an impossibility. The bloom has other names, too, including cat’s paw – hence the leo in the scientific name. It has long symbolized purity. Berthold Auberback’s nineteenth century novel Edelweiss described the importance of climbing until one found an edelweiss flower, making it almost a quest. It was the golden age of alpinism – many of the Alps’ major peaks were first reached in the 1850s and 60s, part-science, part-sport. The Swiss Armed Forces used the flower as an insignia. So did the Austrian-Hungarian alpine troops under Emperor Franz Joseph I. Alpine troops still use the symbol. On a negative note, it was said to be a favorite flower of Hitler himself. But it was also used as an identifier by the Edelweisspiraten – anti-Nazi youth groups. It appears on coins and the name is also used for a type of grape – so, yes, there’s edelweiss wine. The Rodgers and Hammerstein song was originally written in 1959 for the musical. Captain von Trapp and his family perform the song during a concert. It’s a lullaby and a defiant song, too – for all its sweetness, The Sound of Music is set agains the backdrop of Nazi Germany, and “Edelweiss” symbolizes resistance. When the crowd sings bless my homeland forever along with the family at the Salzburg Festival, it’s a love song for Austria. The 1965 big screen adaptation raised the importance of the song, as the Captain sings the song first to his children. Now here’s the funny thing about this sweet tune: many assumed it was a traditional folk song, or even the national anthem of Austria. Not so, but Oscar Hammerstein did nail it – it seems like it could be a customary tune revived for the show. How wearable is Edelweiss? From a symbolic perspective, she’s rather compelling – especially if you have ties to the Alps. She’s potentially nickname rich. 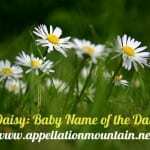 Edelweiss could shorten to Edie, or Della or Delia. And something in her sound reminds me of Evangeline and Genevieve, names are are elaborate, but perfectly wearable. That said, she’s never been given to even five girls in a single year in the US. I did find a story about Edelweiss as a middle name, and met another fabulous family with a daughter by the name. If you’re after a rare name, rich with meaning, with a built-it lullaby, Edelweiss might be just the name for you. Here’s a real person named, Edelweiss! You can Google me and know that I am not lying! Oh, my last name is, Montera! A Filipino-American! Edelweiss Cheung (Chinese: 張舒雅) was the winner of Miss Hong Kong 2008. Edelweiss is her real given name. 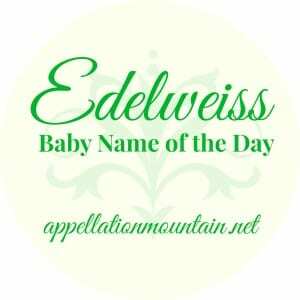 Our daughter’s name is Edelweiss! 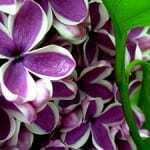 It’s actually very beautiful, and the flower is familiar because of “The Sound of Music”. It is still a very bold choice though!